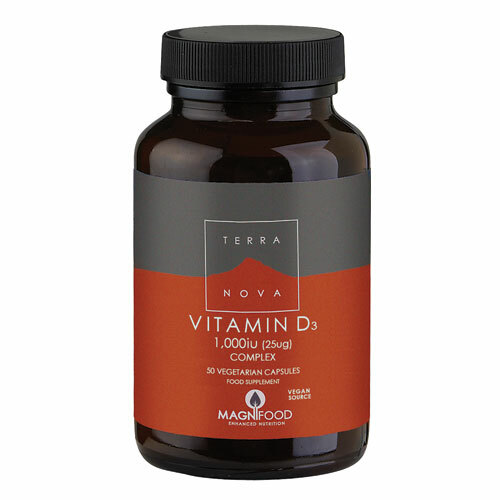 Vitamin D3 1000IU (25mcg) Complex 50 Vegan Capsules. With MAGNIFOOD blend including Stabilised Rice Bran, Shiitake Mushroom, Coriander Leaf, Spirulina, & Pumpkin Seed. As a food supplement for adults, take 1 or 2 vegicaps daily with food. 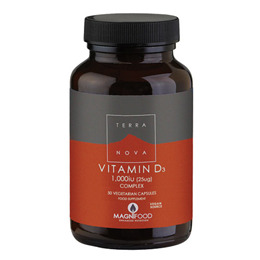 Below are reviews of TERRANOVA Vitamin D3 1000iu Complex - 50 Vegicaps by bodykind customers. If you have tried this product we'd love to hear what you think so please leave a review.